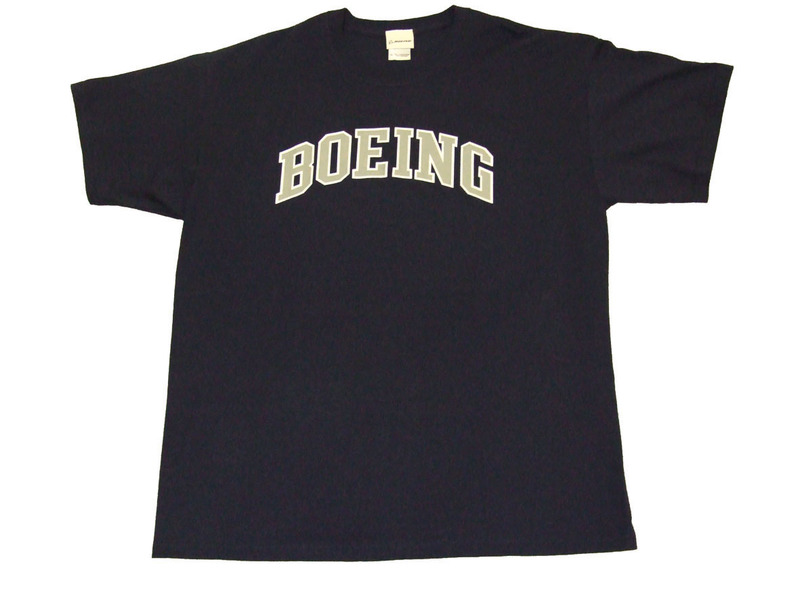 Boeing’s popular ‘Varsity’ T-shirt in navy blue. Athletic style T-shirt with ‘Boeing’ in royal blue across the chest, outlined in white. Short sleeve design, manufactured in 100% cotton, made in the USA.